The consumer version of the headset began shipping this week. MENLO PARK, CA: Oculus is shipping its first virtual reality Oculus Rift headsets to consumers who backed it on Kickstarter, marking a rite of passage for mainstream virtual reality. Facebook CEO Mark Zuckerberg described the launch as "another big milestone towards the future of computing." Oculus founder Palmer Luckey delivered a headset to the first customer in Alaska. The headsets are retailing for $599, after pre-orders for Oculus went live in January. But those consumers not already on Oculus Rift’s list could be in for a long wait, with a backlog in orders tailing into at least July. While this week’s launch represents Facebook-owned Oculus' first consumer headset, developer kits have been available to buy since 2013, with technophiles among the early adopters; virtual reality itself has existed on the fringes for several decades. 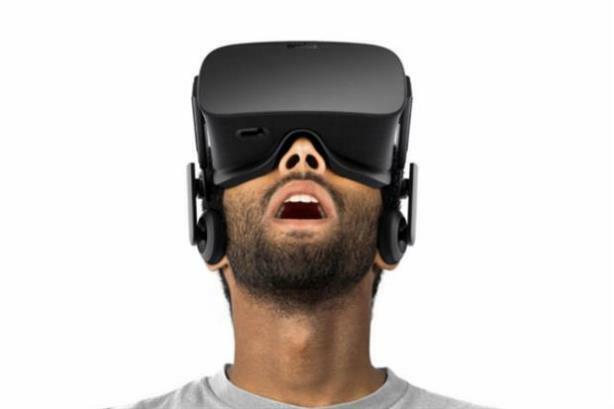 The Oculus Rift headsets are compatible with PCs, not Macs, and will require a powerful gaming rig to run. It will be interesting to see how VR develops in the hands – or strapped to the faces – of consumers, particularly in the videogame market, where its most obvious potential, and revenue, lies. Of course, brands have not been shy about tapping into the new technology, using developers’ kits to let consumers experience aspects of their products and services via virtual reality, while others such as Domino’s have expressed a desire to use the tech in yet-to-be-revealed ways. Here are a few brands that have embraced the medium to push engagement. Earlier this year, The Economist used VR and crowd-sourced imagery to resurrect some of the historical sites and ancient artifacts destroyed by Islamic State. The business magazine hooked up with cultural preservation organization Project Mosul to reconstruct exhibitions from Iraq’s Mosul Museum, including the tomb of Yahya Bin Al-Kassim, an incense table bearing the god Nirgul, and a sculpture from the ancient city of Hatra. South African Tourism placed consumers within a few feet of great white sharks and sent them abseiling down Cape Town’s Table Mountain in a virtual representation of what they might experience on a holiday to South Africa. Using Oculus Rift, the experience toured bars in London and Manchester in the U.K. and was created using HD video and binaural sound. Oculus Rift is not the only player in virtual reality. There are a handful on a list that is likely to grow longer as the technology embeds itself in the consumer psyche. Samsung is selling its Galaxy phone-compatible Gear VR headset, which is powered using Oculus technology, while Sony is preparing to launch its PlayStation VR in October for about $500, significantly less than Oculus Rift’s VR, although admittedly not as high-spec. At the top of the heap, at least price- and spec-wise, is HTC’s Vive, which is around $200 more than Oculus and $400 more expensive than Sony’s. At the bottom end, certainly price-wise, is Google’s Cardboard technology – VR brought to consumers for very little outlay – a few pounds for a cardboard mask containing lenses and magnets, which is used with a smartphone to produce an immersive, if pretty rudimentary, experience.